VisionLink has launched a Shelter View iPhone App now available in the Apple iTunes store, providing information about disaster shelters across the United States. Using the elegance of the iPhone platform, the Shelter View application displays real time information about open shelters, their capacity and locations. Information is updated every thirty minutes -- utilizing the NSS Shelter Data Exchange Standard authored by VisionLink, and the National Shelter System deployed by VisionLink for use by the American Red Cross, FEMA, and many other local, state and federal emergency management officials. The application is also available to the public, and is available in the App Store at no charge. The application provides links to donate, or to view up to date disaster information from the Red Cross Newsroom website. 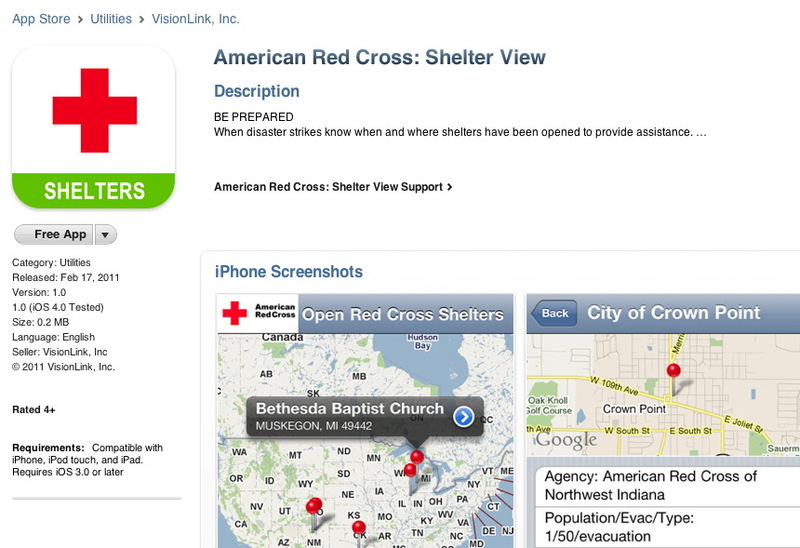 Design and development costs for the Shelter View application were contributed to the American Red Cross by VisionLink, Inc as part of the CommunityOS(TM) platform. Download it now. It's the one app on your iPhone we hope you will never need. It is, however, a great easy way to keep up to date with small and large disasters across the United States. 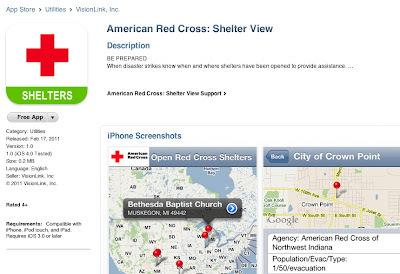 You can find it in the App Store by searching for American Red Cross, or Shelter View. More iPhone and Mobile Apps are coming. Stay tuned!